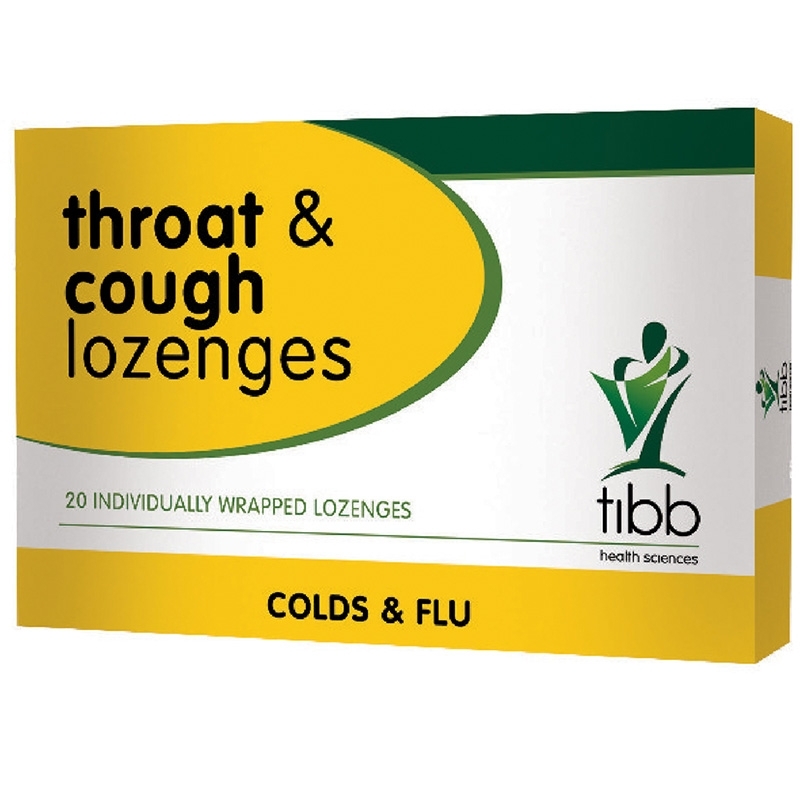 TIBB THROAT AND COUGH LOZENGES come in individually wrapped lozenges. 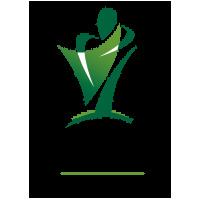 They assist by relieving throat irritation caused by excessive coughing. Lozenges are caramel flavoured. 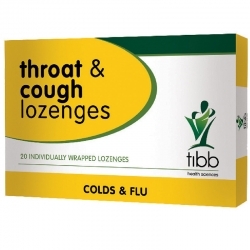 They contain menthol and eucalyptus that help soothe sore throats and relieve coughs.